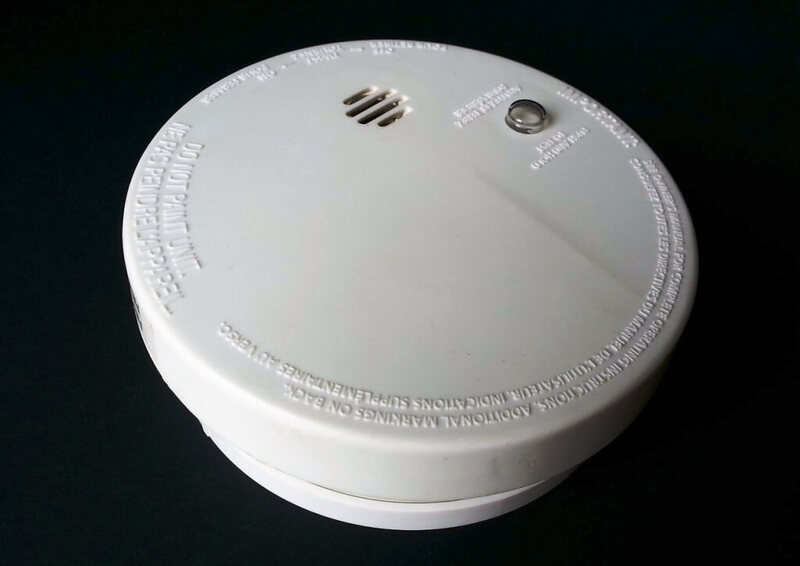 A heat detector is a fire alarm device designed to respond when the convected thermal energy of a fire increases the temperature of a heat sensitive element. The thermal mass and conductivity of the element regulate the rate flow of heat into the element. All heat detectors have this thermal lag. 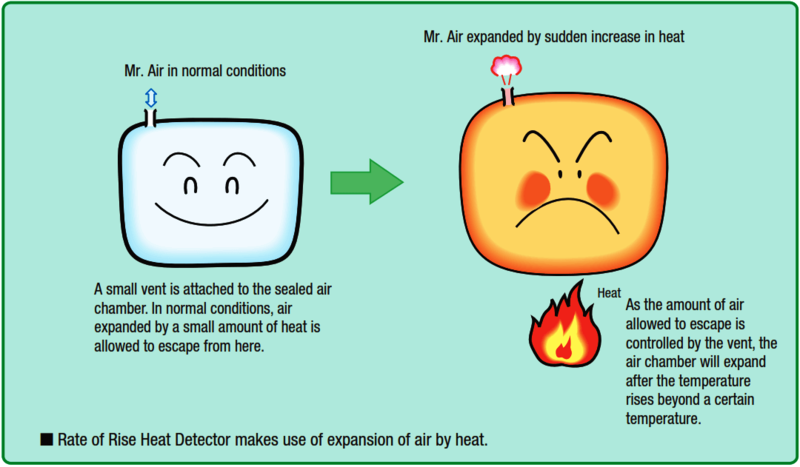 Heat detectors have two main classifications of operation, “rate-of-rise” and “fixed temperature”. Rate of Rise Thermal Detectors triggers the fire alarm when the rate of temperature increase in the surroundings rises above a certain rate. The air in the air chamber will expand and close the contact which is used to generate the alarm. Rate-of-Rise Thermal Detectors measure the rate at which the air temperature changes during a fire event. Measuring the change in temperature provides a faster alarm response than measuring the temperature level in a space. The rate-of-rise detector measures the change in the temperature of the space through the use of a differential pressure switch. This switch contains an air chamber separated for the air in the ambient space by a flexible diaphragm. As air in the ambient space changes temperature, the air pressure increases, creating a differential pressure across the diaphragm. The air chamber is constructed with a calibrated leak so that normal temperature and pressure fluctuations within the room space adjust across both sides of the diaphragm and will not cause the alarm contacts to close. During a fire, the air temperature rises at a rate faster than normal, causing an increase on the room side of the diaphragm diaphragm. The leak cannot compensate, and therefore the diaphragm moves and closes the detector contacts. Combination rate-of-rise and fixed temperature thermal detectors are also manufactured and have both technologies built in. What is Partial Stroke Test ? Why we use End of Line (EOL) Resistor in Fire and Gas System ? What is Lower Explosive Limit & Upper Explosive Limit ?